In poetry, a combination of familiar words can form an image so new and strange that the words are reanimated, meeting our mind with fresh meaning. 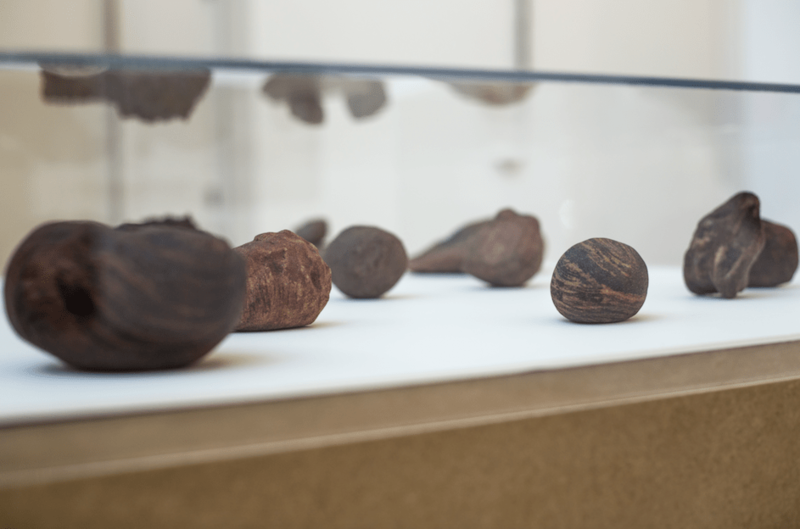 In her exhibition, titled “Bhaba,” artist Neha Vedpathak engages the poetry of Kay Ryan and Rabindranath Tagore in richly sensory work that meditates on the power and intricacy of small and steady gestures found in artistic and organic processes, blurring this distinction compellingly. 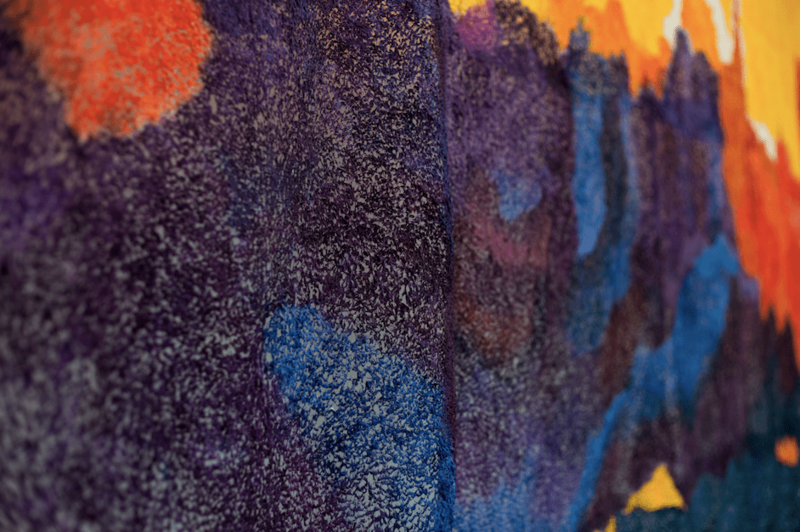 Suspended across the central wall, the large-scale paper work “Bhaba” is a visual feast: the result of Vedpathak’s unique practice of plucking the fibers of homemade Japanese paper with a push-pin, transforming a familiar material into a newly animated, flowing textile. In a striking palette of colors that captures the life of a changing sky as sunset is swallowed by mottled darkness, “Bhaba” appears to breathe gently, circulating air through each pluck of paper. Here, that humble matter with which we daily interact is both an artistic medium and an element unto itself. Although Vedpathak’s touch leaves its trace on the entire surface of the piece, “Bhaba” seems to exist in a space that is entirely its own, though we are generously invited to share it for a moment. The other works in the exhibition, though appearing modest in comparison to the central piece, should not be overlooked. An arrangement of handmade stones fashioned from sand and sap and a mixed-media garland call us to wonder at the fine line between artistic gestures and natural processes. From the earthiness of stones to the echoes of poets’ words, we encounter tactile and linguistic elements that are made new again, enlivened through the artist’s sensitive touch.